Carson Neal is greeted at home plate after his three-run home run in the third inning. 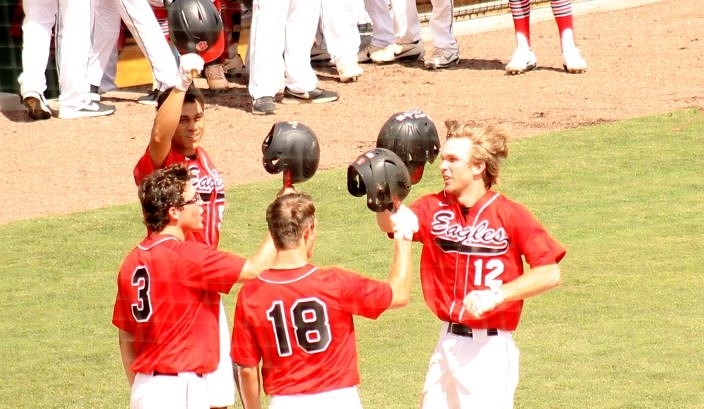 The Eagles (25-3) will host the two-time defending 3A state champion Canterbury Cougars in Thursday’s 3A state championship, at 4 PM at Hammond Stadium. Canterbury (26-5) advanced with a 4-3 win over John Carroll in Wednesday’s other 3A state semifinal. 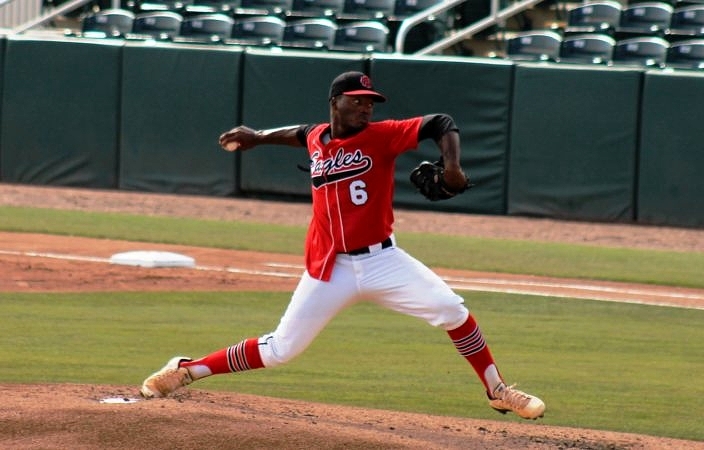 Junior right-hander Brandon Walker went the distance on the mound for the Eagles, allowing one earned run while recording eight strikeouts for the win.